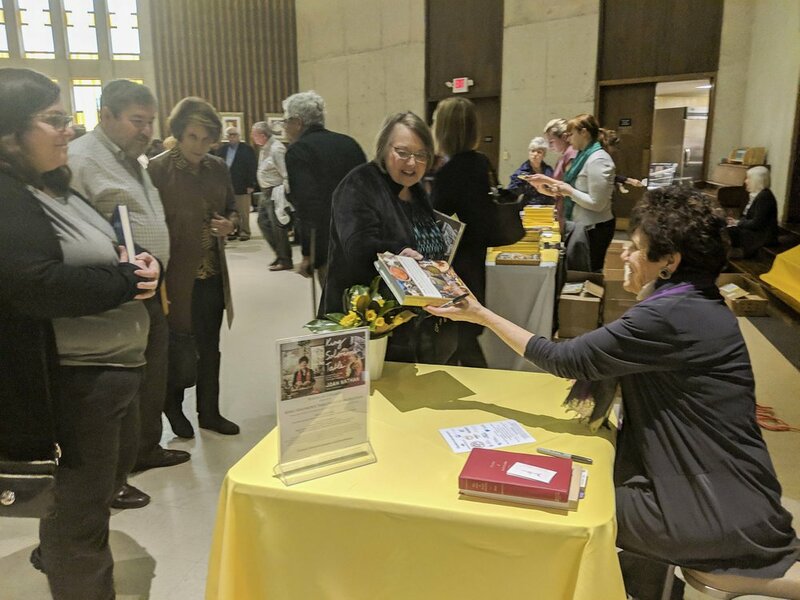 We were delighted to welcome celebrated chef and renowned cookbook author, Joan Nathan to Columbia last month, and we couldn’t be happier with the support from such a wide variety of people who joined us at two successful events on Feb. 3-4. The images below show the pure joy of cooking and history (and some of the delicious treats) that we enjoyed while Joan was here. 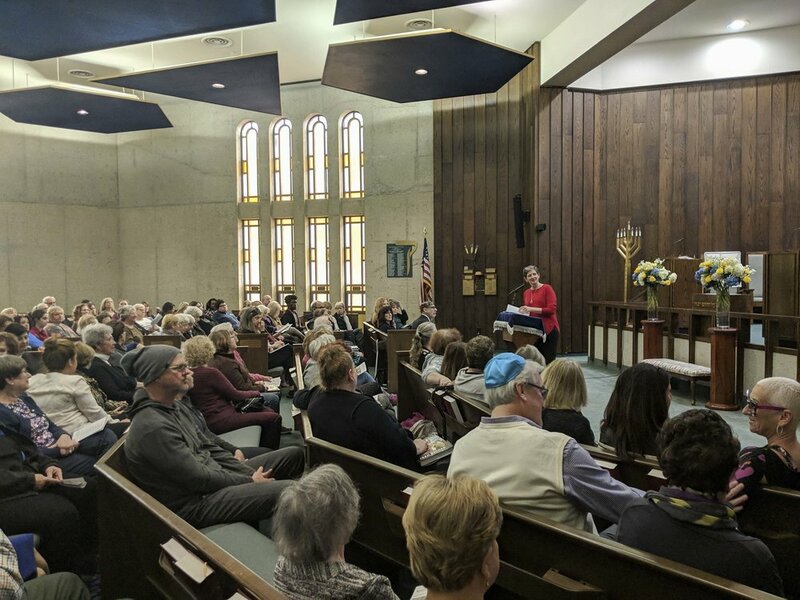 Special thanks to the more than 200 people who attended King Solomon’s Table with Joan Nathan at the Beth Shalom Synagogue. 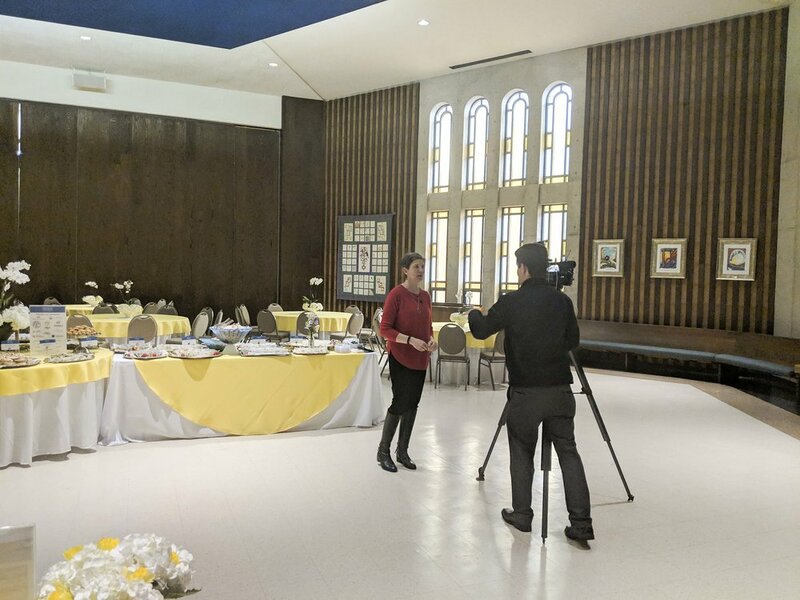 We were also glad to receive excellent local media coverage from Bach Pham at the Free Times and Madeline Cuddihy at WIS. We learned so much, and we can’t wait to start planning on our next Kugels & Collards event. We especially like the following comment that we received after the event. In 1912, Clara Kligerman and her younger sister, Esther, boarded a ship to New York City; the girls—who were seventeen and twelve years old, respectively—set sail for America, leaving behind their parents and nine other siblings in Nikolaev, Ukraine. While living with an aunt and uncle in New York, Clara met Frank Baker after a benefit show in the city. He lived with his father and brother in Mount Pleasant, South Carolina, where he convinced Clara and Esther to visit (1). By 1917, the young couple had married and moved to Estill, South Carolina. It was after the Bakers relocated to Columbia that they opened an all-purpose grocery store at 931 Gates Street in 1926, right in the heart of the city’s African American community, a neighborhood known as Ward One (2). 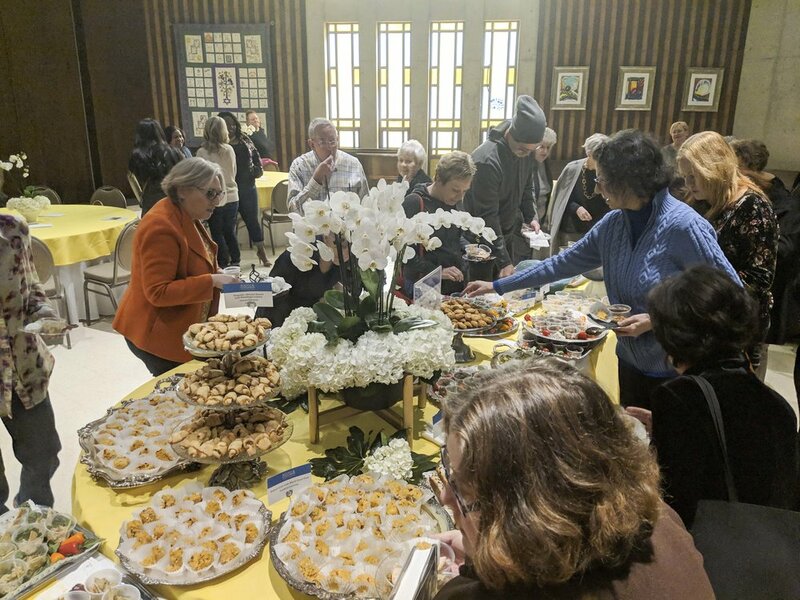 As Jews in the South, the Bakers, like others in their community, had to decide to what extent they would embrace their Jewish culture and customs. Clara’s engagement with her Jewish heritage did not always align with her role as a business owner and operator in Columbia. The Bakers did not settle close to the synagogue or in a neighborhood with other Jewish immigrants. In fact, Clara and Frank Baker were one of very few non-black families on their block. 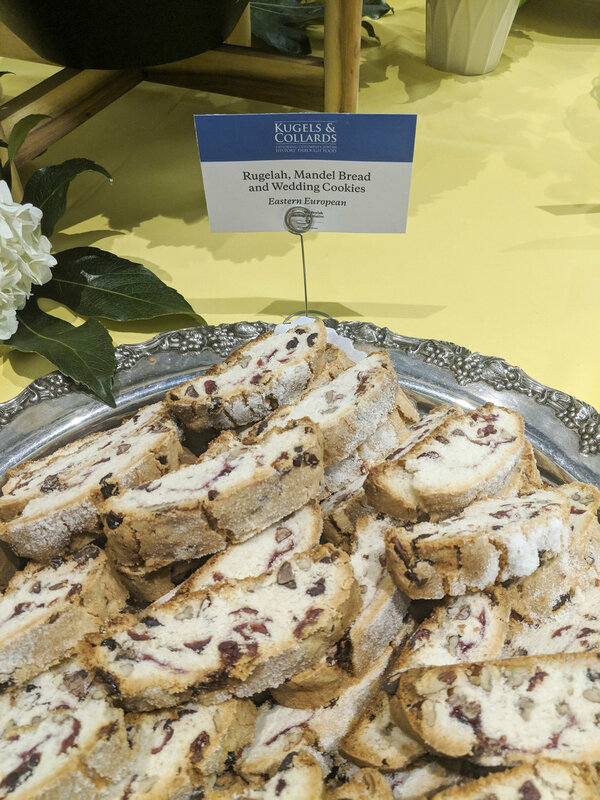 By 1967, when Clara Baker sold the store to Oscar Shealy, a long-time employee, Baker’s Grocery had become a respected and valued part of its surrounding community. 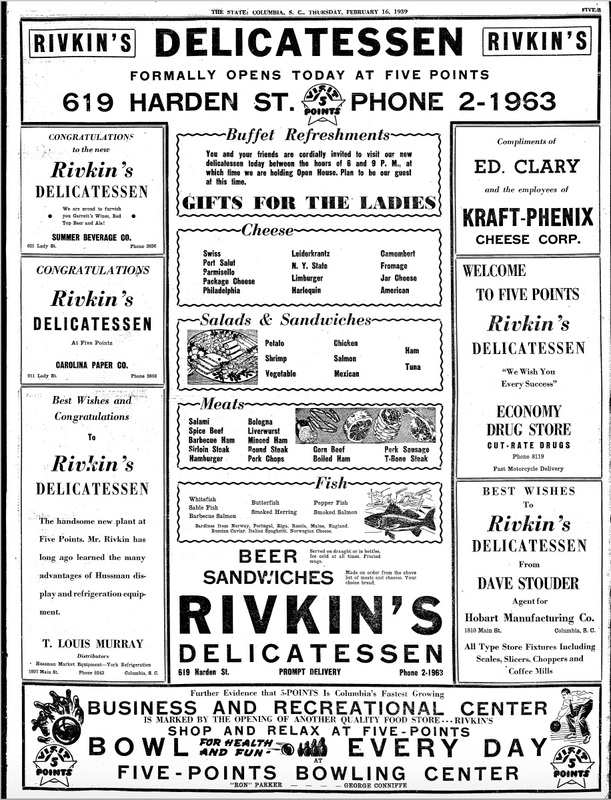 Though Baker’s Grocery is listed under Frank Baker’s ownership, Clara truly ran the business on a daily basis. Her steadfast dedication to the store is remembered most by family and friends. John Bell, a long-time customer at Baker’s and close family friend, described Clara Baker as “one of the hardest working women you’ve ever seen in your life,” working 12 to 15 hour days at the grocery. (3) She opened the store early and closed it late so as to better serve the needs of her customers. It was the relationships Clara built with her clientele that made her a well-known figure in Ward One. Though she was a white, Jewish woman serving an almost exclusively African American customer base, she was neither marginalized nor taken advantage of. 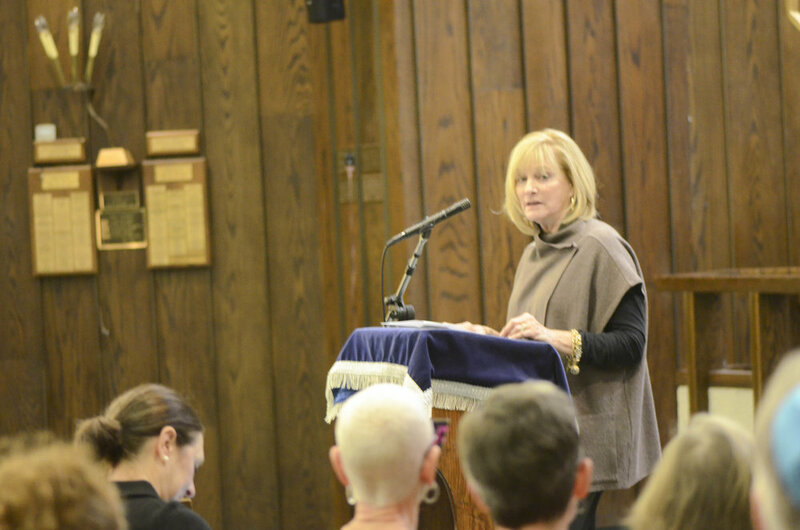 Through 41 years of reliable service, relationship building, and the generous lending of credit to those in need, she became a protected and respected member of her community. 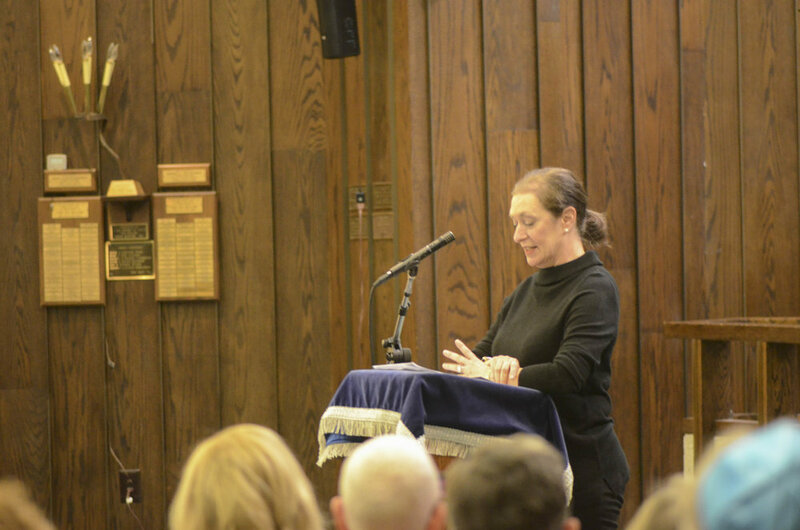 The hard-working attitude of Clara Baker shows the commitment many Jewish immigrants had to the businesses they established and the opportunities they had been given upon arrival in the United States. 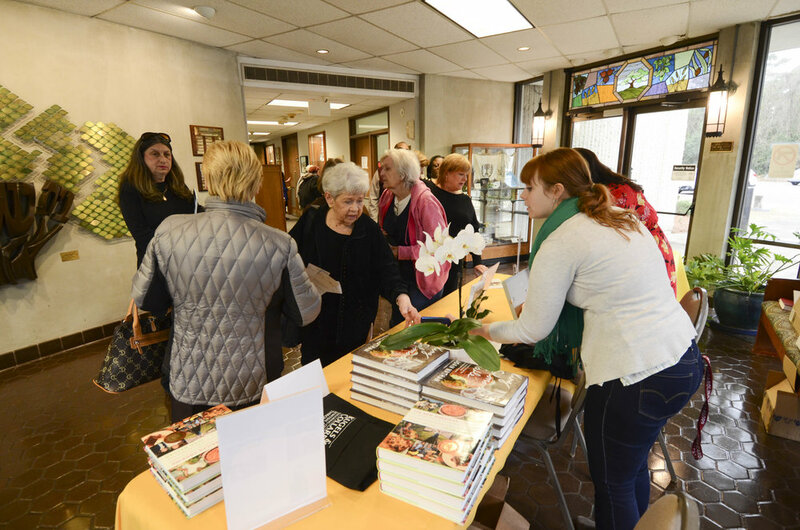 Though Clara did not push her family to eat and serve kosher food, she was still cooking traditional dishes from her eastern European background and expressing her Jewish cultural heritage at home, while asserting her entrepreneurial dedication at the store. 1. 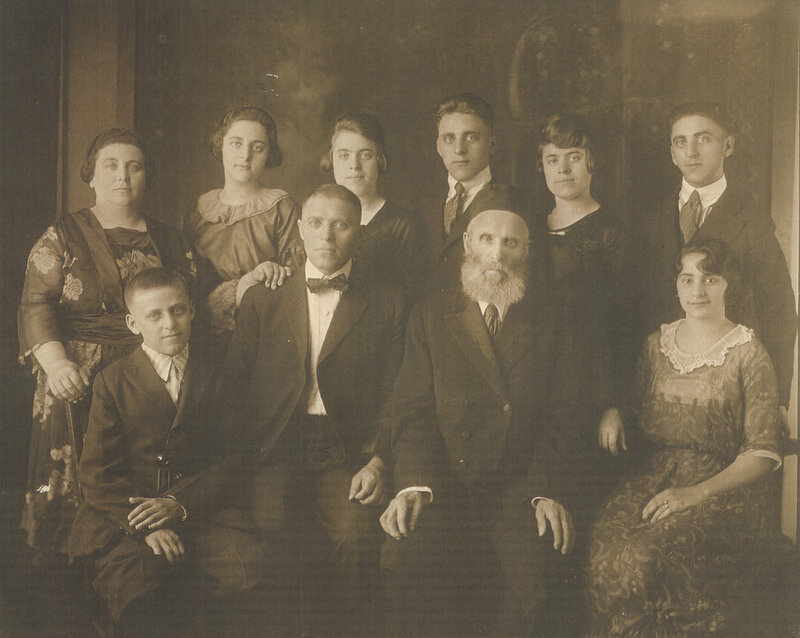 Hyman Baker (or Chaim Becker), Frank Baker’s father, came to America from Zabludow, Poland, which was roughly 17 miles from Bialystock, in 1883. The family settled in New York originally, but in 1887 moved to Charleston where they had relatives and knew others from Bialystock, including the Firetag, Krawcheck, Sharnoff, and Pearlstine families. This information came from family Kligman/Baker family members Lyssa Kligman Harvey and Susan Brill. 2.Laurie Baker Walden, “A March Through Time: Baker and Kligman Family Roots,” September 1999. This source is a collection of family memories compiled over a number of years, though the timeframe is unknown. It is believed that these memories were collected as an informal family oral history, but after putting them together Walden sent the document to Historic Columbia’s Jewish Heritage Initiative for use in their research. 4. Ellen Henderson, “Clara Kligerman Baker: Personal Remembrances of Her Life,” December 21, 1974. Olivia Brown is a Master’s student in Public History at the University of South Carolina. All images of the South Carolina State Fair are provided courtesy of the Walker Local and Family History Center at Richland Library for educational use and remain under the copyright of The State Media Company. To see additional images of the fair, click here. The Agricultural Society of South Carolina was organized in November 1839 in Columbia. It was also the beginning of the S. C. State Fair. The state legislature allocated $5,000 in 1855 to the fair and erected buildings on Elmwood Street, the first site of the fair. At the start of the Civil War the Confederates occupied the buildings, using them as a place to make war material. The buildings were burned by William T. Sherman in 1865. Four years later, with the Agricultural Society resurrected, the legislature appropriated $2,500 annually to assist the Society and the City of Columbia rebuilt the buildings. Private donations helped create a statewide fair. The fair outgrew the Elmwood site and, in 1904 the Society moved to the current location on Rosewood Drive. Needing still more exhibit space, the Society bought the Hippodrome Building, site of the 1908 Republican National Convention, and moved the building to Columbia from Norfolk, Virginia. That building was destroyed by fire in 1966 and was replaced by the Hampton and Ruff Buildings. “Meet your party at the rocket,” is a familiar cry heard throughout the fairgrounds on the public address system. If one is lost or looking for someone, meeting at the rocket, which towers above the buildings, is a logical meeting place. The rocket, a Jupiter intermediate range ballistic missile, was a gift to the city from the U.S. Air Force because it was named “Columbia.” It was designed by Dr. Wernher Von Braun and built by the Chrysler Corporation. The SC State Fair acquired it in 1969. 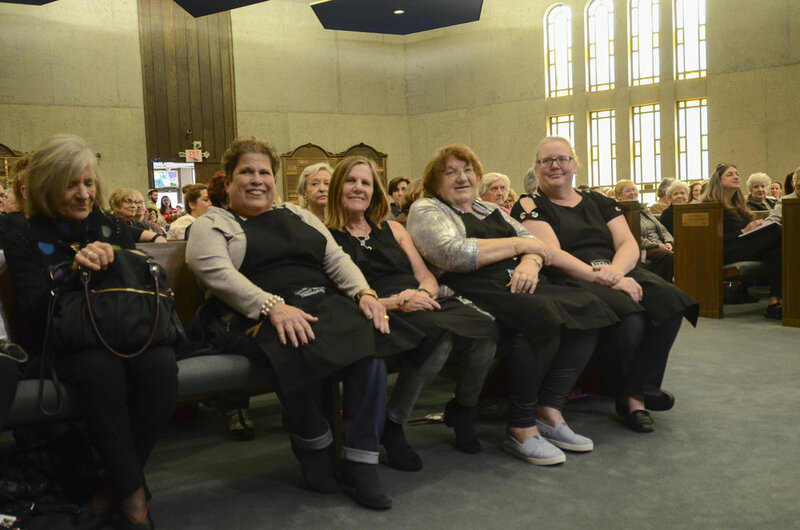 “Many of the [carnival workers] were Jewish,” said Helen Coplan, “and they just worshipped the food...we didn’t have a kosher restaurant in Columbia so there was no place to get decent Jewish food except at the fair,” she said. Florence Berry was one of the leaders who planned and supervised the event. The primary cook was Florida Boyd, Selma Dickman‘s maid. Dickman had taught Florida how to cook Jewish. 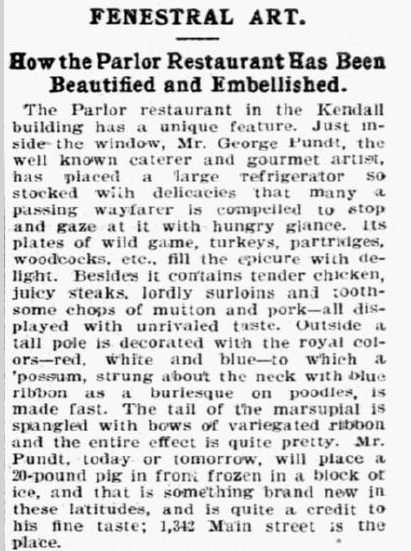 Florida was in the kitchen every day, and she would even make things “on the spot” like omelets and sandwiches. 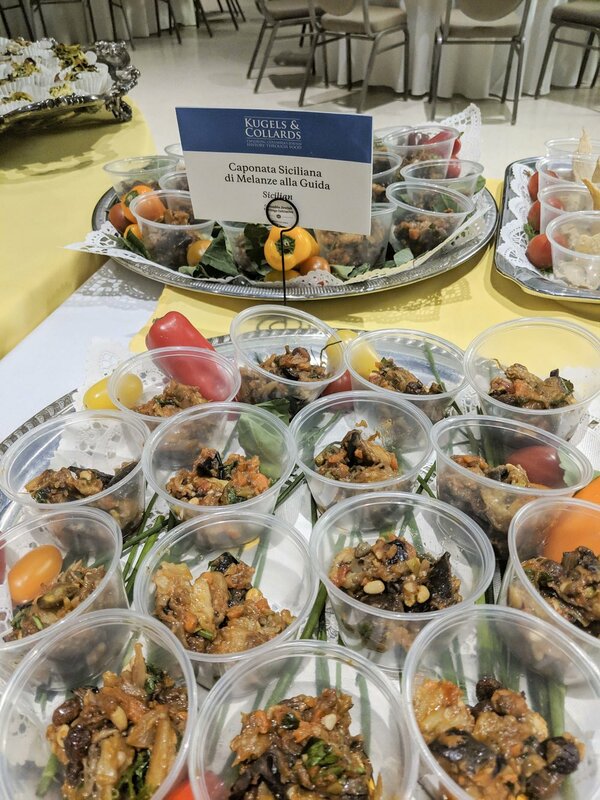 The cooks prepared the gamut of traditional Jewish cuisine. The booth would sometimes become crowded because too many volunteered that day so they would take turns walking around the fairgrounds. 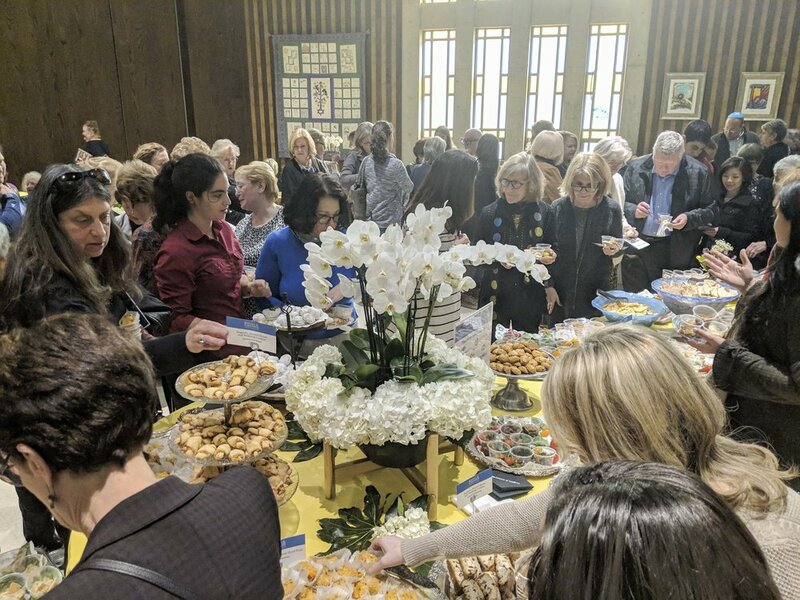 “It was a pleasure to work with B’nai B’rith Women and to meet all the interesting people who stopped by,” said Delores (Dee) Friedman. There were times when working in the booth was a challenge. “When it rained on a Big Thursday, the day of the USC vs. Clemson football game, water came into the booth, sometimes horizontally, and everyone got soaked,” said Helen Silver. 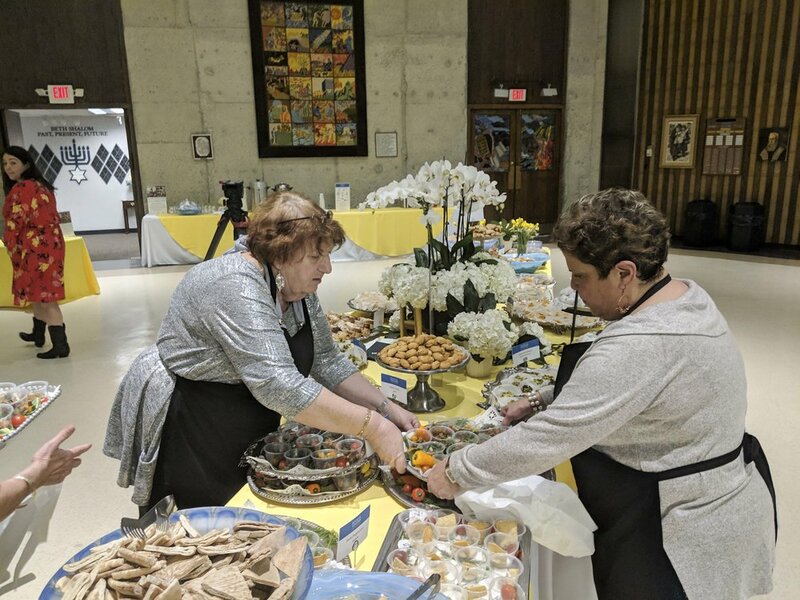 “The booth was divided into the kitchen and the bar area where the prepared food was laid out,” said Judi Emanuel. “We’d be in the area where the big ice chests were located handing out drinks. We’d freeze our hands off,” she said. Then in the early 1980s, the SC State Fair changed the rules and increased the rent on the booths, which made it much harder to continue. “They imposed new rules because some were not following sanitary procedures,” said Golden. “Then we couldn’t get the same booth the last few years so people couldn’t find us and that put the kibosh on it,” she said. Over the years many people have worked the booth: Mary Miller, Ethel Miller, Heidi and David Lovit, Helen Kahn, Bobby and Barbara Kahn, Louis and Frances Berry, Max and Selma Dickman, Sandi and Bob Schulman, Benay Chandler, Sandy and Eddie Hertz, Frank and Barbara Bruck, Merrie and Ira Zolin, Sarah Kline and Ruby Harris among a host of other volunteers. It was a time of comradery, community involvement and dedication. Helen Silver summed it up, “I enjoyed every minute of it,” she said. My grandmother, Ida Lomansky Kligman (1901-1984) cooked Jewish dishes like a woman from the “old country.” She was born in Poland and came to America with her younger sister, Bluma. She met my grandfather, Louis Kligman, and they married in 1925. 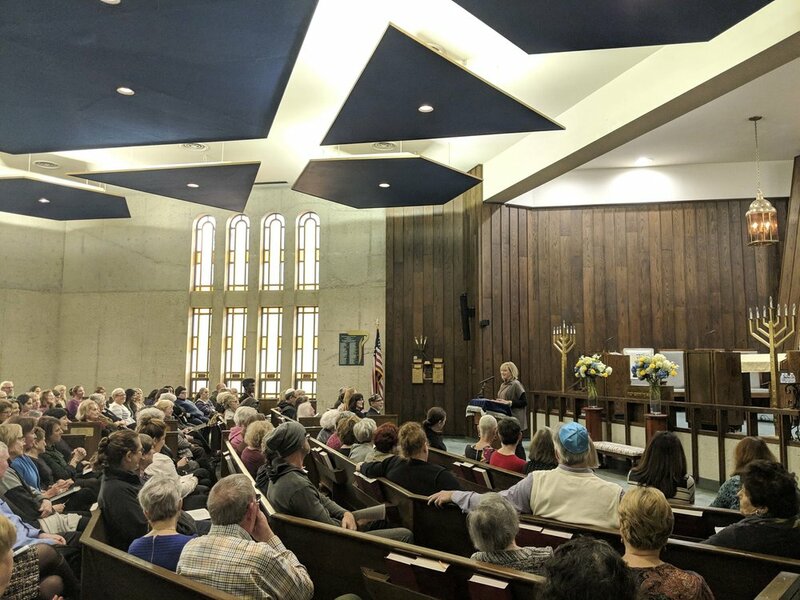 I remember going to synagogue on Friday nights at the Marion St. synagogue and then having Shabbat dinner with them in their home on Kilbourne Rd. and in their duplex on Bull St. Grandma made chicken in a pot, brisket and of course for the holidays she made this authentic kugel! Boil noodles and drain. Add ¾ cup of butter. Cream the sugar and cream cheese. Beat eggs and add to the mixture. Add the milk and apricot jam slowly. Mix all together. Put in a 9 x 12 buttered Pyrex pan. Add the topping. Bake 45 minutes- 1 hour at 350. Food can tell a story. Delicious aromas, the taste of a special spice, a china pattern used for a holiday dinner can elicit memories, take us back to a particular time and place, and define a moment in history for us. Why a blog devoted specifically to Jewish cooking memories? Because, our responses to sights, smells, tastes can help us tell our stories. Even today, when my kids come home and a brisket is cooking, they immediately know it is their grandmother Mimi’s brisket recipe. From those wonderful aromas wafting through our house, stories about Mimi’s Rosh Hashana dinners come pouring out. Great memories abound. Columbia, South Carolina, is a town that relishes its Southern food culture. 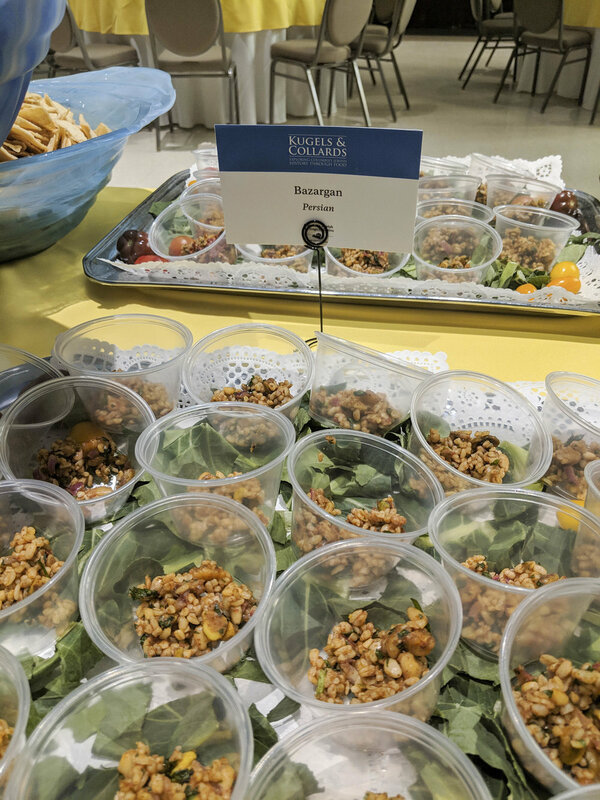 This focus on food is multiplied in the Southern Jewish home. The “Southern” part of that identity was often embodied in the local cultures that define Southern cooking, among them African-American influences in traditional Southern cooking (minus the pork in vegetables!) 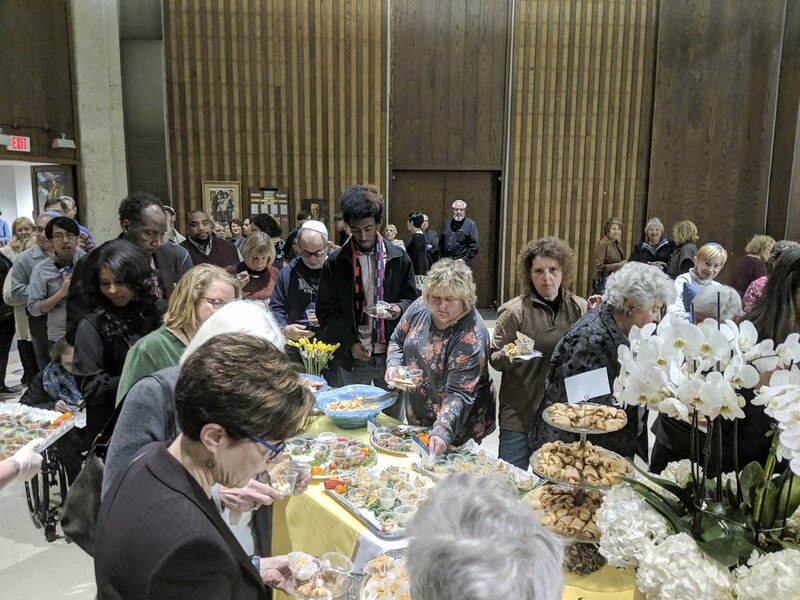 combined with traditional Jewish recipes, many from our immigrant great-grandparents and grandparents. A “Southern Jewish” food culture emerged. 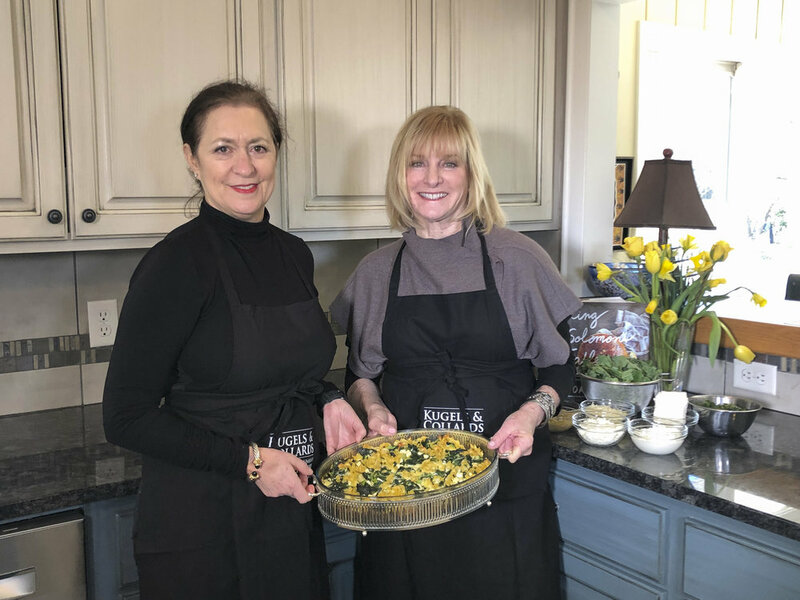 It is not unusual to have collard greens – a Southern staple that has its roots in the African-American culture - alongside fried chicken, “Jewish” brisket, tsimmes, rice, black-eye peas and the omnipresent kugel (noodle pudding) at a dinner table! 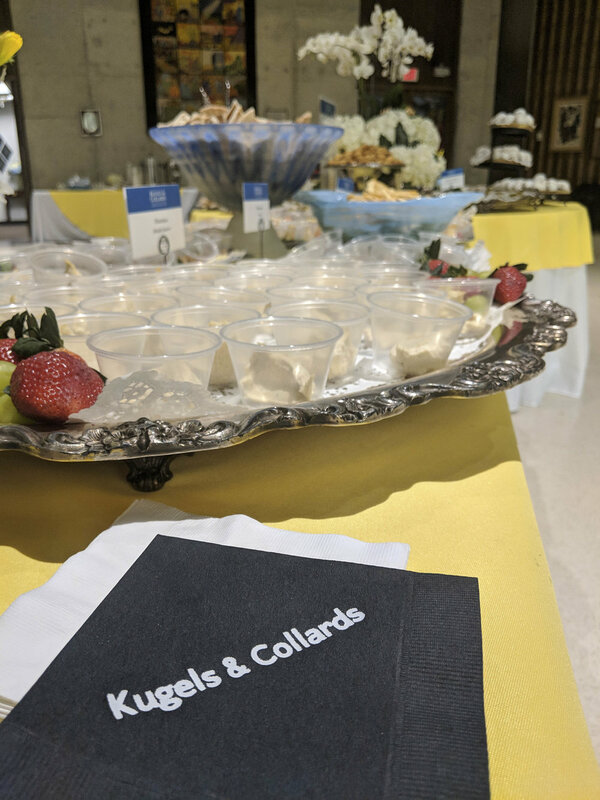 Kugels and collards co-exist on the Southern Jewish table easily and are symbolic of the intertwining of our food cultures. 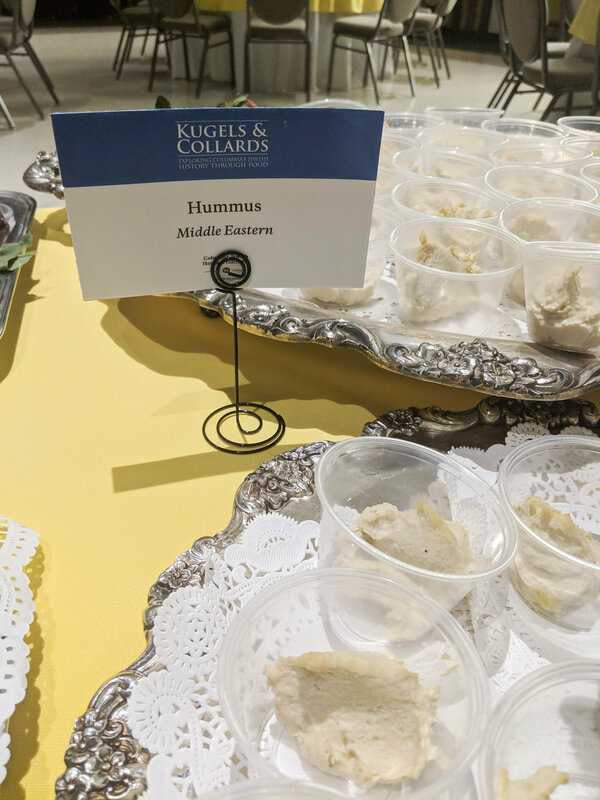 Kugels and Collards was born out of our interest in studying the history of these merging Southern and Jewish elements in our food ways in Columbia, South Carolina. 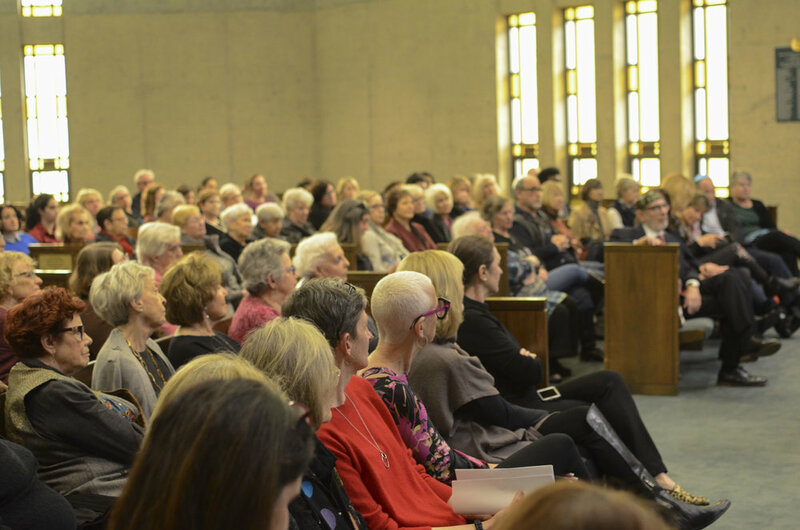 Our hope is through recipes and memories we can collect, preserve, and share this special history with our readers.